This looks like frost but it’s infrared simulation layered with a touch of the original color. This is a pasture near my Dad’s farm. 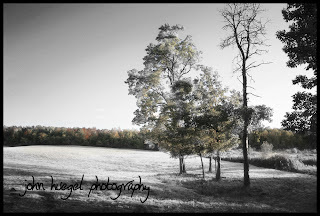 I liked the look after the infrared conversion but wanted a touch of the fall colors.